My name is Rob and I am currently a third year paramedic student studying in England. 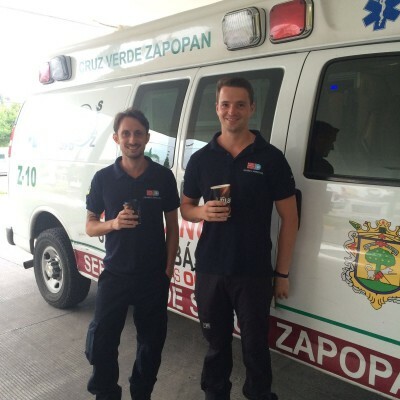 At the end my second year I took the decision to head to Mexico for a three week volunteer placement, working in the Emergency Department (ED) and on the ambulances in the city of Guadalajara. I worked six hour shifts, either morning or afternoon following the shifts of the hospital staff and paramedics but you can work as much or as little as you like (afternoons and nights being the busier shifts). My first week was spent in the clinic acclimatising to the language and culture. I was surprised by the amount of people that bring themselves or family members to hospital, people only call an ambulance when they are not physically able to bring themselves in. I saw people with broken legs, hips and even one with a spinal fracture being carried in by family members/friends. Even one chap covered in over one hundred bee stings just walk into the department before he collapsed in shock. 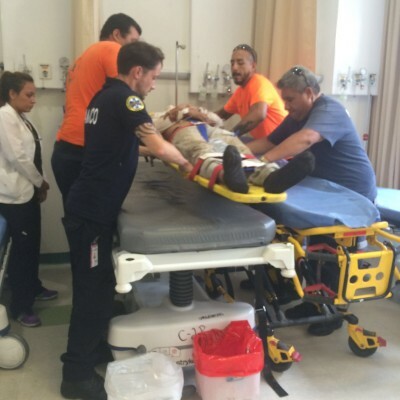 In my time at the clinic I was able to help with the daily tasks such as wound care, bandaging, suturing, cannulation, ECGs and drug administration, I was also able to watch some minor surgeries in quiet times in the ED. I also spent a lot of my time with the doctors in the emergency department discussing differences in treatment and training, which helped me come away with a greater appreciation for the equipment and training that we take for granted in the UK. The shifts in Mexico were a lot quieter than what I am used to in the UK, this I believe, is due to the fact that people only call when it is really necessary. I averaged two or three jobs in my six hour shifts. However, when you do get a job it is usually trauma or a medical emergency. One memorable day the first job attended was to a ninety year old lady who had been hit by a car (over 250 car Vs pedestrian deaths so far this year in Guadalajara alone). The next job was to an elderly man who had suffered a TIA, there are no carry chairs in mexican ambulances so improvisation is key to the job. We tied this elderly chap into a small armchair with a bed sheet and carried him down the three flights of stairs, head first. After that a young man who had fallen two stories, from the fifth floor of a building under construction and landed face first on the third floor. The first issue was reaching the patient, we had to get up to the third floor using a ladder which we pulled up behind us each time to reach the next floor. The lucky patient was conscious and appeared to have no other injuries other than a mouth lacking teeth and blood loss from that general area. We rolled him onto a rescue board and immobilized him with collar and blocks. Then began the wait for the “Bomberos” (fire brigade). 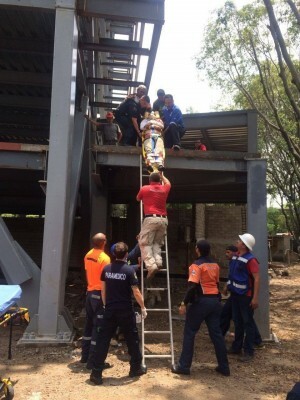 The extraction of this young man was very impressive once the “bomberos” arrived. They harnessed up the rescue board with ropes and lowered him down feet first one floor at a time. Fire at the top with paramedics catching at the bottom. Pretty hair raising work jumping across steel girders with nothing but three stories of space below. The staff in both the clinic and on the ambulance were very welcoming, I went for a breakfast of tacos most days with either the nurses or paramedics. 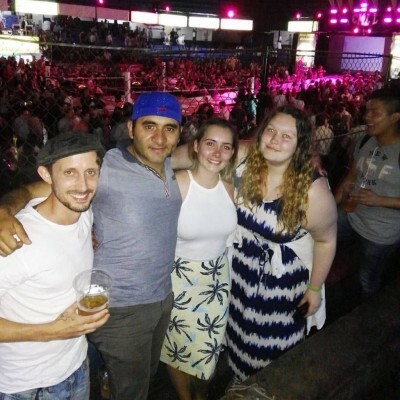 Most weekends the other volunteers and myself were invited out by the paramedics and doctors to sample the night life of the city, salsa dancing, lucha libre (mexican wrestling), mariachis and tequila! The city itself is beautiful and welcoming to tourists so take some time to explore the sights, food, music and culture that it has to offer. As well as new friends and memories on of the things I will take away from this experience is how rich we are in education and support in the UK. These guys do an incredible job with little money/governmental support and sometimes archaic equipment. 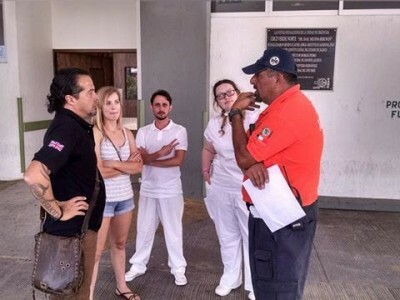 I recommend anybody working in or planning to work in medicine/paramedicine to take on this experience, to head to mexico with an open mind, to work hard (you will get out what you put in), to eat tacos, drink tequila, dance salsa, and to learn about a different way of living and working.